Not too long ago, we posted a Miko Revezera-directed video from Natasha Kmeto, a conservatory-trained, Portland-based R&B singer who makes all her own beats and got her start in Los Angeles as a session musician. "Take Out," a track from her upcoming LP, Crisis, complicates a fierce, almost warrior-like vocal melody with ethereal arpeggios and unexpected, even intrusive, washes of synth. Crisis is out June 18th on Dropping Gems. 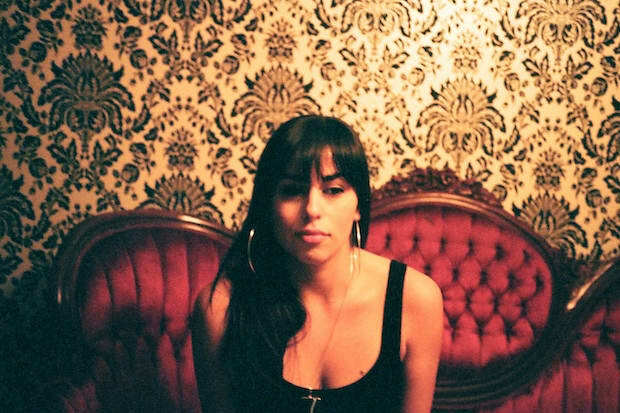 Stream: Natasha Kmeto, "Take Out"